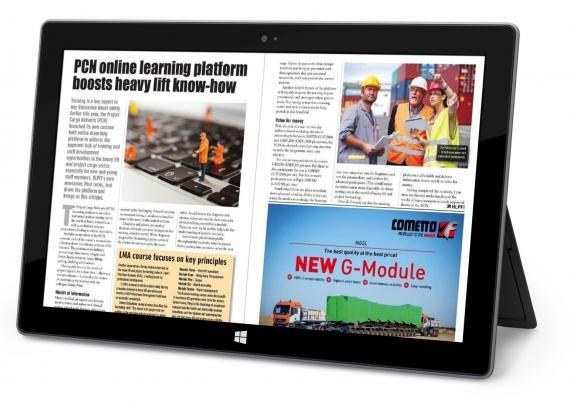 As you may know, earlier this year Project Cargo Network (PCN) invested in both professional training from Marco van Daal and a new eLearning Platform to provide their Members with a comprehensive online program. CEO of PCN, Rachel Humphrey: "To manage a project, one needs to understand both the practical and technical aspects. In the past, training was obtained ‘on the job’ because suitable courses were not readily available. We feel it is a risk to think this is how it should still be done and are happy to now provide the theory, physics and principles which should be applied on the job. HLPFI were recently invited to complete our online training course and Paul Lucas who attended our 7th Annual Summit shared his thoughts on the training, which he said was "Affordable and delivers information that is excellent value for money. Marco’s knowledge on the subject matter is evident, and he presents the information in a clear and concise manner. Having completed the modules, I can now say that my understanding of the world of heavy transport is much improved thanks to PCN". Please click here to read Paul’s full article which features on page 102-103 of the Nov/Dec 2017 issue of HLPFI. Since its launch, over 80 users have signed up for our training and although it is ideal for staff who are at the beginning of their career - senior level professionals also benefit as it encourages reflection on current practices. Marco van Daal adds “It gives me tremendous joy when experienced project and heavy lift forwarders approach me after training and say, "I have been doing this for 30 years and now I know why". For further details see www.pcntraining.com or our online brochure – you can even watch a sample video! Please email us for the special pricing for 10+ Participants. If you would like to enrol, please complete this form. Each user receives their own personal log-in so that they can train at their own pace with no deadlines."